Jeep Momma - Blog: Jeep Wrangler Assembly Plant Tour! 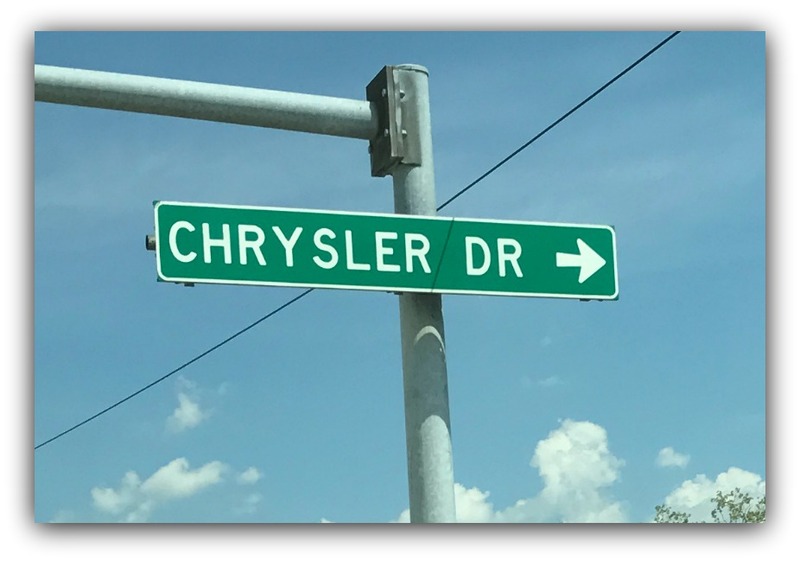 Not a popular destination for most vacationers. For my family, it was our last vacation stop this past weekend. 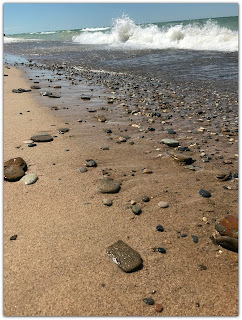 We spent several days in Michigan City with my family relaxing on the shores of Lake Michigan. Lake Michigan is amazing! I will be heading back again soon. 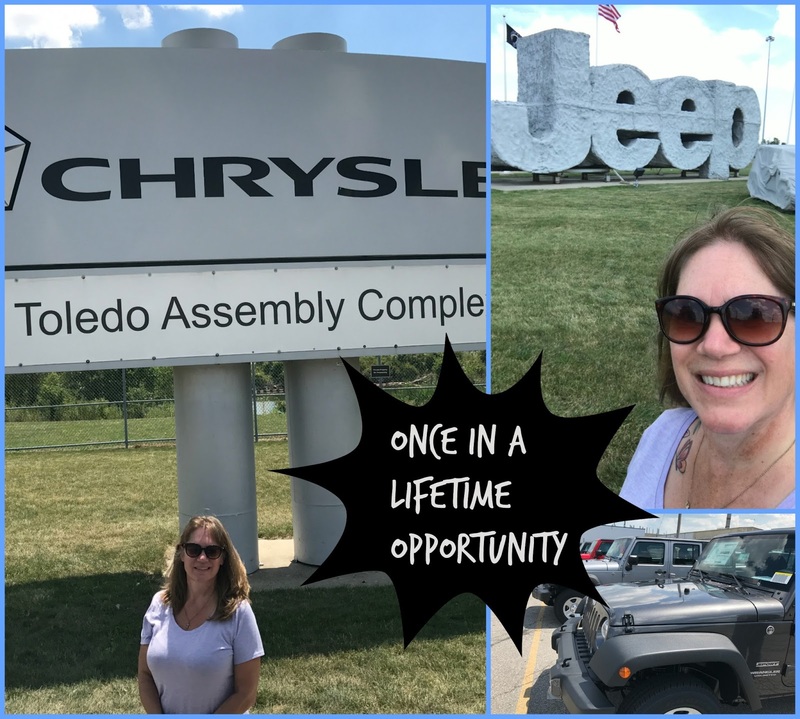 After some much needed fun in the sun, it was off to Toledo for my private tour of the Jeep Wrangler assembly line. 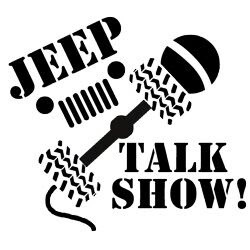 As a host on the Jeep Talk Show podcast I was able to meet a fan who works at the plant. Royal is a JK Specifications Analyst, a 3rd generation, Local 12. 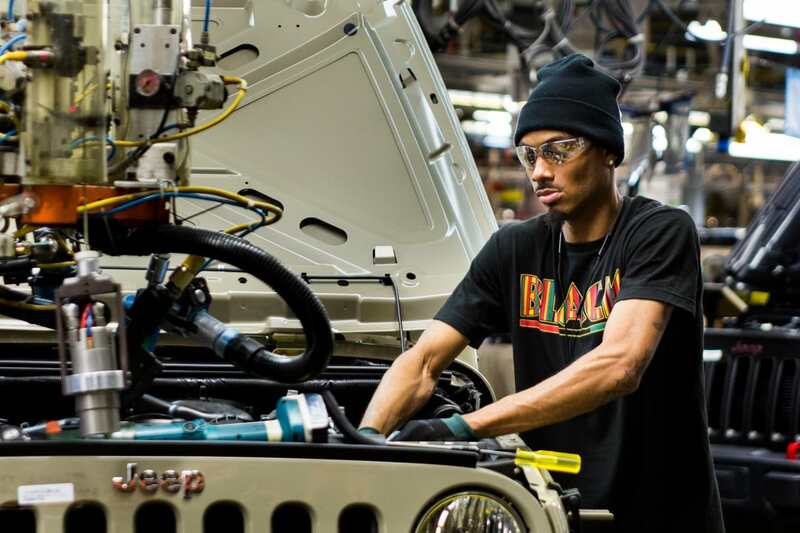 He started working on the Jeep assembly lines in 1994. He also helps out the Jeep Talk Show with our social media. He said, if I am ever in Toledo he would give me a tour. So I took him up on the offer. 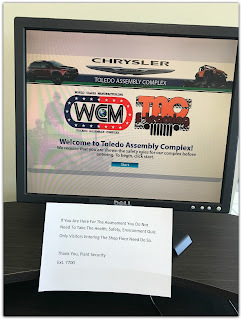 I was so excited ~ and nervous ~ once we pulled into Toledo. 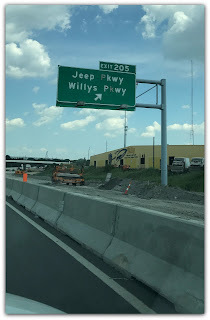 Seeing the Jeep Parkway and Willys Parkway signs, I could feel the butterflies in my tummy. It meant we were closer to the plant. 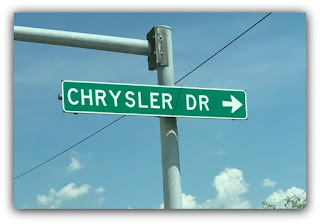 Then it was a right onto Chrysler Drive. We saw Wrangler after Wrangler after Wrangler. My oldest son said he has never seen so many of one vehicle in one place. My family dropped me off then headed for lunch in Toledo. We were heading back home from our family vacation, and still had about seven hours left to drive home. 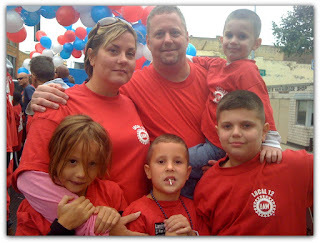 Because my kids were under the age of 18 they weren't allowed on the plant floor. Which meant my time was limited for the tour. Just the entrance alone was pretty impressive! 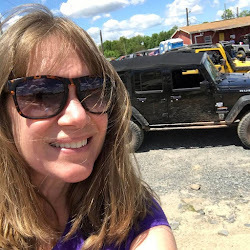 A black Wrangler and purple doors greeted me! A perfect welcome for me. 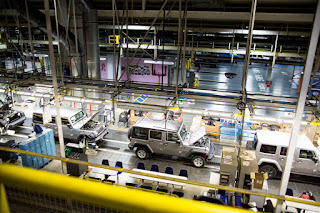 Once inside I needed to watch a safety video, then it was on to the JK assembly line. Once inside the revolving door, pictures and videos were prohibited. For me I was torn. I was thankful for no pictures, and at the same time bummed. I wanted the memories for myself to remember and to share. But thankful I could just enjoy the tour without taking pictures. However, there is an article about the people of Jeep Toledo with lots of pictures. What is really cool is I recognize some of those people. Some of them were assembling the Wranglers on the line while I was there. Some probably even assembled my Jeep. I can honestly say the vibe I felt from everyone of them was pride in their work. They wanted to be there. They enjoyed their job. There was an intoxicating vibe in the air. It was a strong sense filling the air which probably feed into my excitement being there. are the assembly line I was on! There was so much to take in, it was overwhelming. 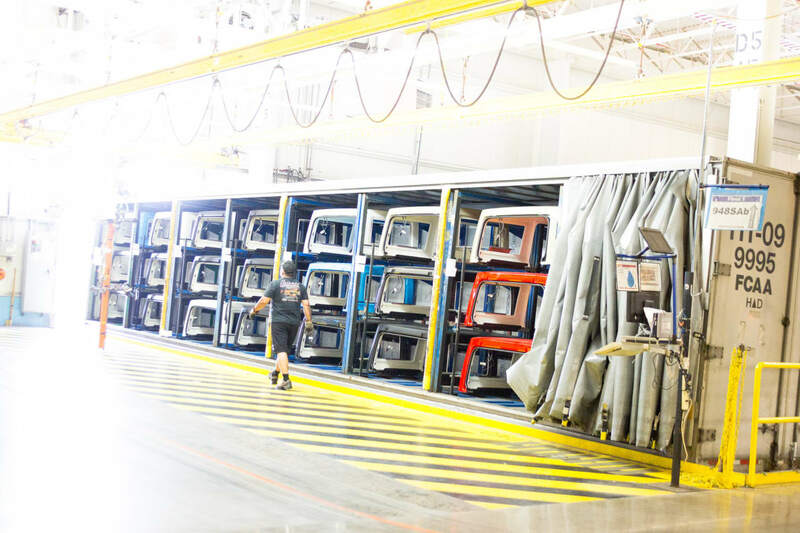 Seeing the Wrangler bodies on the assembly line being built piece by piece was astonishing. To be honest, for me it was a lot to take in. With time ticking away, I felt I needed to rush, and soak in as much as I could. Did I mention I was extremely excited!!! Royal said to me later "If I had know how excited you were going to be I would have found you some Xanax"
He went on to tell me the most excited they get working on the line is when the first Jeep of a new color comes down the line. For most of them they see the Wranglers everyday. 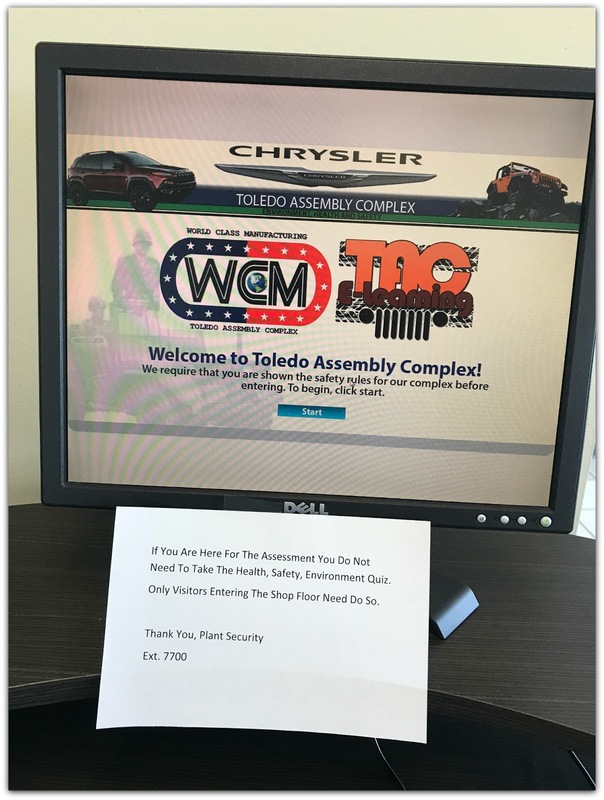 They do this day in and day out, but there is still a pride they feel that you can sense the moment you walk into the plant. 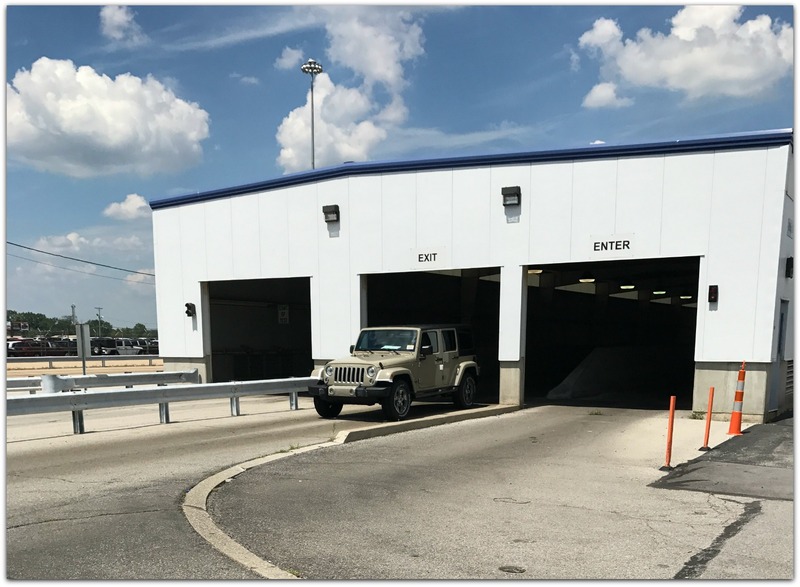 It must be a Jeep Thing! The facility is pretty big. Here is an aerial picture of the site. 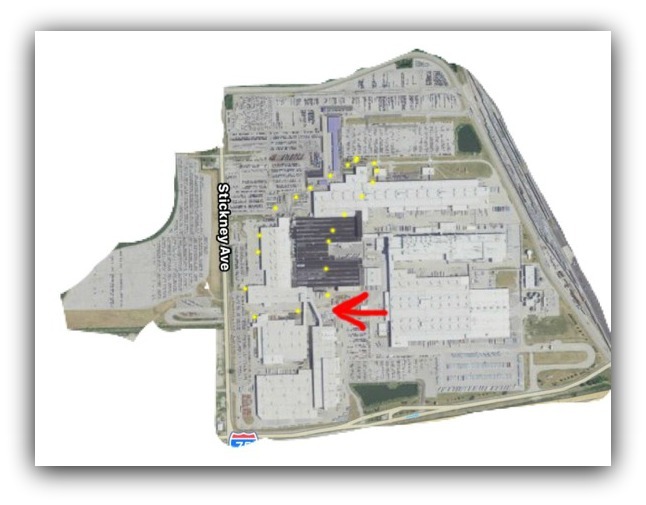 The yellow dots are the part of the plant I toured. The red arrow points to the conveyor that brings the bodies and chassis over from the on-site suppliers. 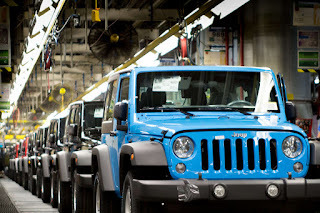 I learned quite a few things about the making of the Wrangler. 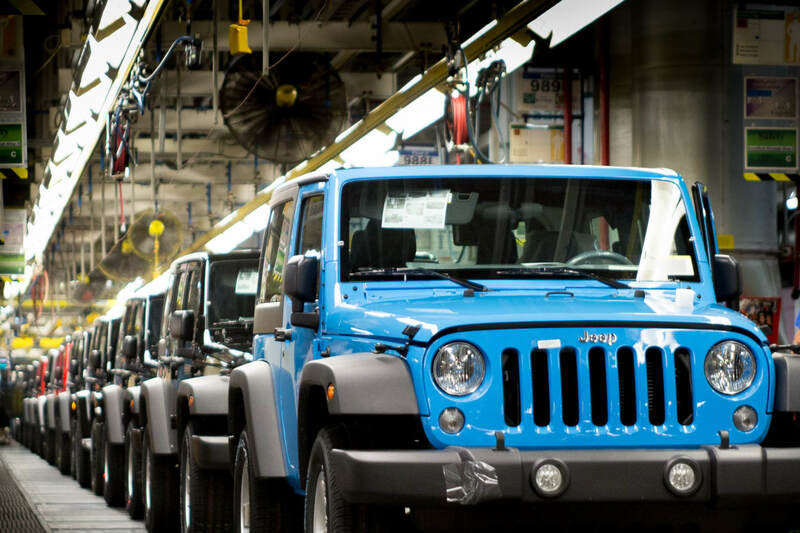 There are two on-site suppliers who make the different parts of the Wrangler. Mobis North America assembles the chassis, axles and power train. Then KUKA Systems makes the body. Once these are assembled and painted they are shipped over thru a tunnel (see the red arrow in the picture above). Once the robots attach the body to the frame it is on to the assembly line where the loving care of human touch is used on all the Wranglers. Pretty much every part from this point on was assembled by human hands. 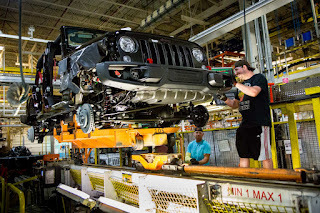 It was so very cool to be down on the assembly line floor up close an personal with the Toledo Jeep workers assembling every part of the Jeep. The logistics of all the Jeep parts is incredibly amazing. Mind boggling the organization and coordination needed to get the right part to the right Wrangler. There are robot carts that carry the part needed for each Wrangler in bins to the necessary points. Each part is pre-matched to a specific Jeep. 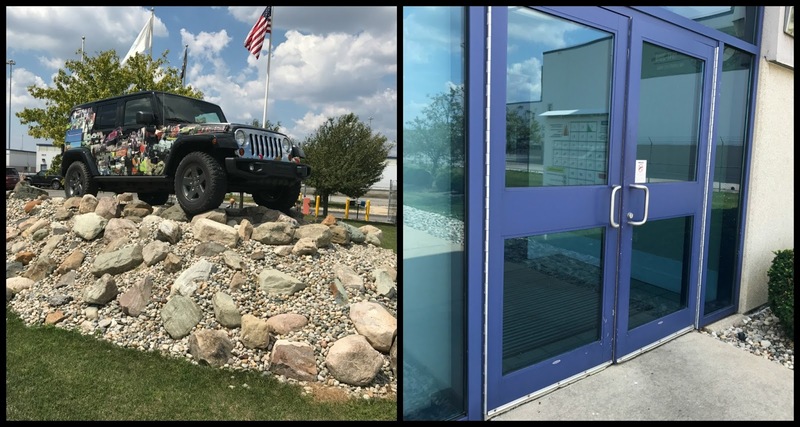 Even the outsource parts like the seats or the Wrangler tops from Bestop come in on the semi's pre-determined to a specific Jeep. 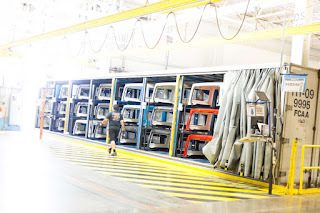 They load the parts to a specific spot on the truck so they match up to the correct spot on the assembly line. 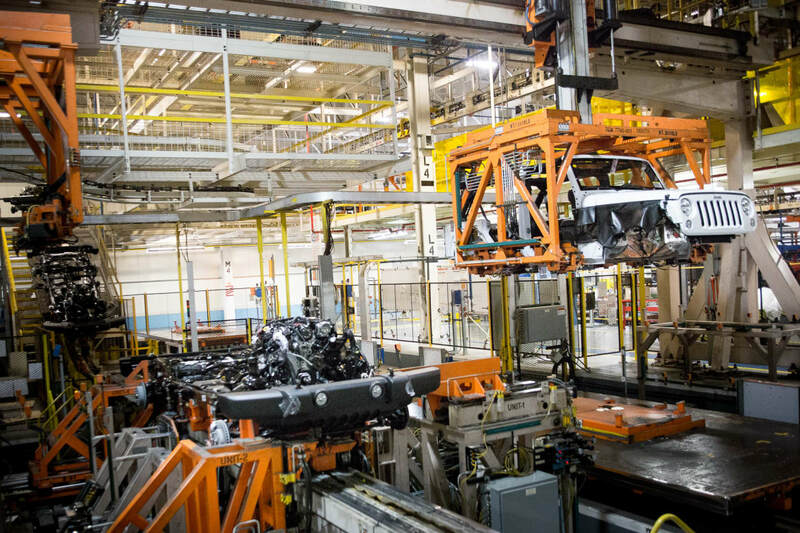 Robots unload the trucks and place the parts onto the assembly lines in just the right place to match to the correct Wrangler. The coordination is astonishing. Attention to detail is wide spread. Even down to the door latch. One guy's job is to make sure the door shuts just right. If it doesn't he will use his special tools to make sure the door latch is just perfect. Watching this procedure was so cool. This guy had a knack for knowing just how much adjustment each door needed. 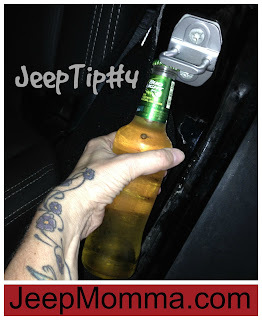 The door latches can also be used for a bottle opener. 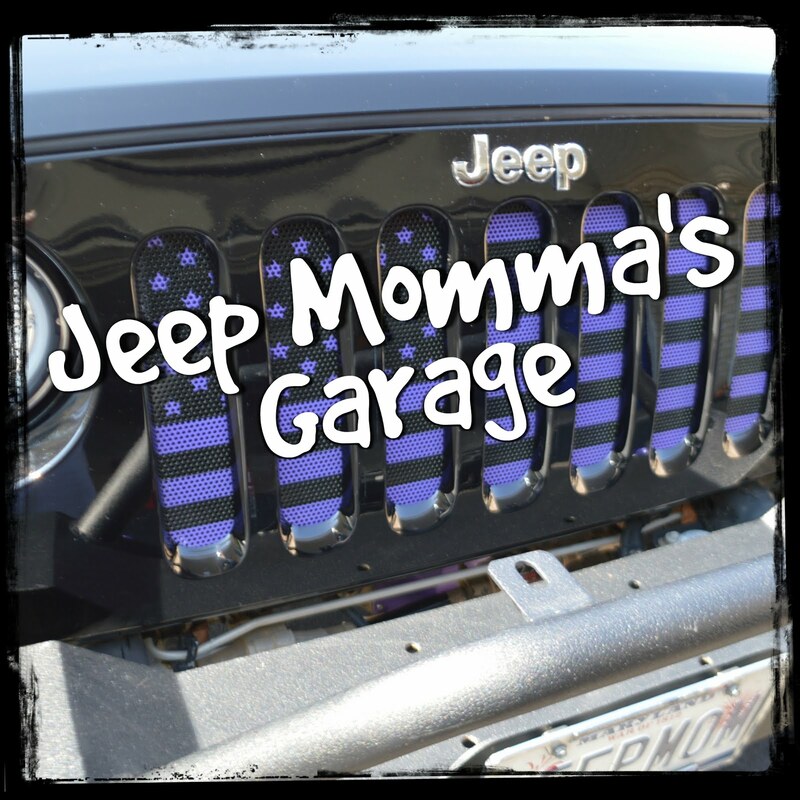 Check out my Jeep Tips page for more cool Jeep Tips Ideas. Once all the Jeep Parts are on it's off to the water test to test for any leaking. Then it's almost time to be shipped out to various dealers across the USA. There is even a indoor driving course to make sure there are no rattles and squeaks. The opportunity I had to see the JK Wranglers on the assembly line was truly a once in a lifetime event. 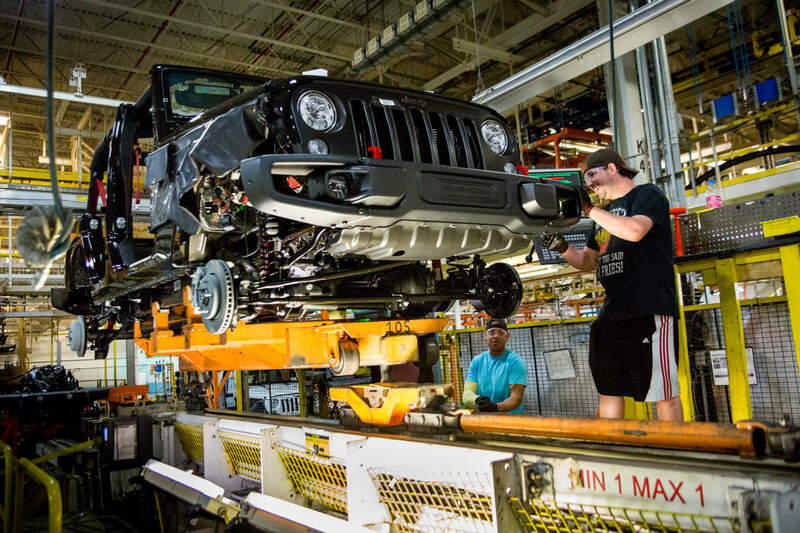 The JK and JKU will soon be a thing of the past on the assembly line as the new JT Truck will take their place. They have had a pretty good run as one of the more popular Jeeps. A huge thanks to Royal Barber III for this most spectacular tour! I cannot thank you enough!